EstiBot appraisals are trusted by domain investors, financial institutions, registrars and registry operators. Domain valuation has been our core business for over 10 years and we appraise over 2 million domains per day. Unlike competing services which provide inflated appraisals for the purpose of selling domain registrations or increasing aftermarket bids, EstiBot's only interest is in providing a fair market value. In addition to providing the world's most trusted domain appraisals, EstiBot also provides high volume access to powerful domain research tools and data sets. Our search volume tool allows you to check how many searches are performed for a specific keyword on Google® and how much advertisers are spending on clicks (CPC, or cost per click). Whether you know exactly what you're looking for or wish to brainstorm, our arsenal of powerful domain research tools is at your fingertips. 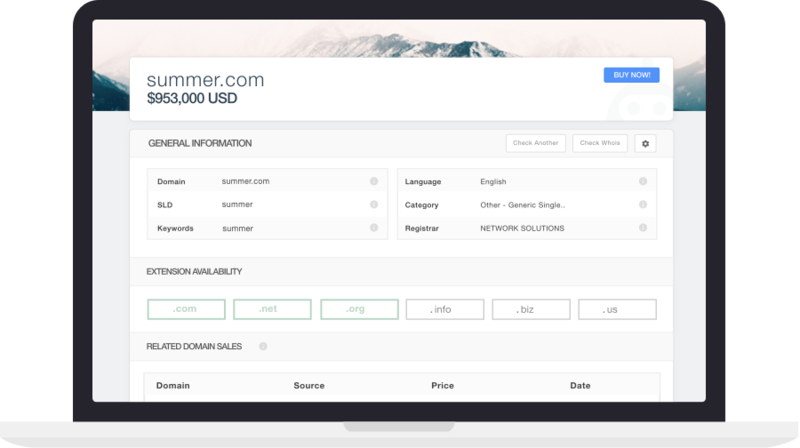 Our lead generator tool was designed to allow any domain investor or broker to instantly identify potential end-user buyers for their domain. 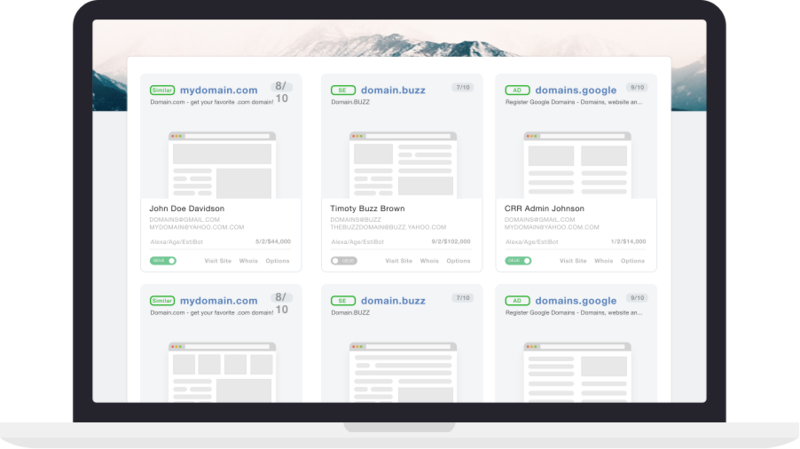 The lead generator performs wildcard searches on all 200 million+ registered domains, advertiser searches on search engines and offline business searches using government business databases to identify end-user buyers that may benefit from your domain. You can also contact leads from within EstiBot with a click of a button. Drops, auctions and everything else. Over 250,000 domain names go through the expiration cycle every day. We help identify the ones that are worth acquiring. EstiBot provides constantly updated lists of dropping, expiring, auctioning and available domain names, complete with valuation and analytics. Access our drop lists and view over 100 data points for each domain name. Access daily updated registration and deletion reports and discover the latest trends months before they are published by registry operators. Discover newly trending keywords in domain registrations as well as keywords which are falling from popularity. Make informed decisions based on real time data. We provide access to both raw and processed data covering registration and deletion trends for every major gTLD (global top level domain) and nTLD (new top level domain, ex: .guru). 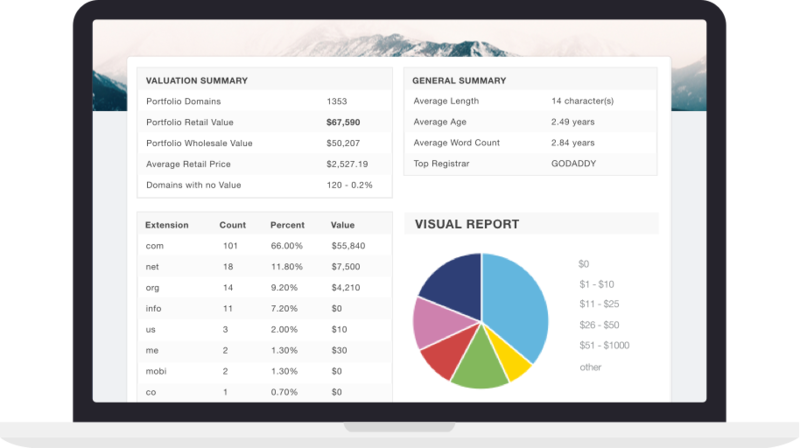 If you own one or more domains, our portfolio tool was built for you. Access real time reports breaking down your portfolio by extension, registrar, vertical and value. View the value of your portfolio over time. We also constantly monitor for similar domain registrations (new leads), similar domain development change, trademark filings and much more and send you alerts as new end-users or legal threats are discovered. Ready to Sign up and Start Investing? Get started today and invest like a PRO!